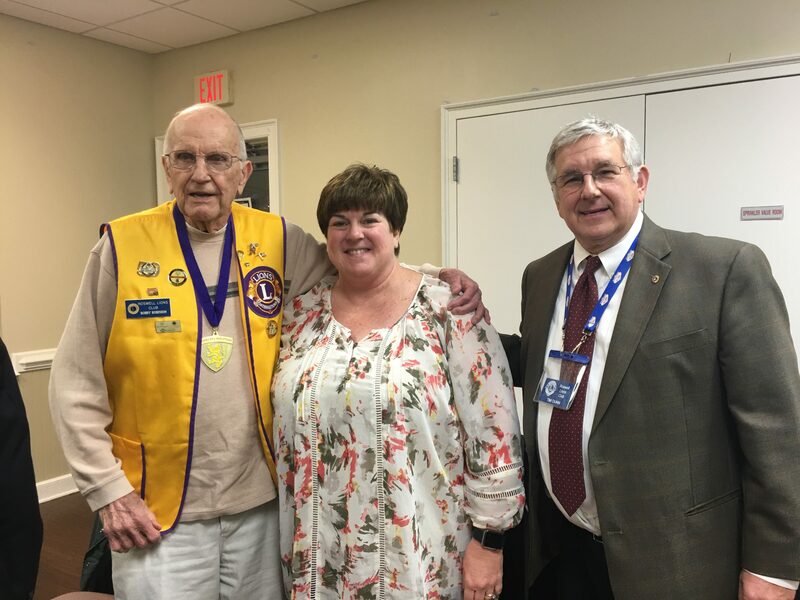 March 2018 Meeting | Roswell Lions Club, Inc.
Our speaker was our own Lion Wily Jones who spoke about Diabetes and his own personal journey with the disease. He explained Diabetes Type I and Type II. Diabetes is the number one cause of blindness. 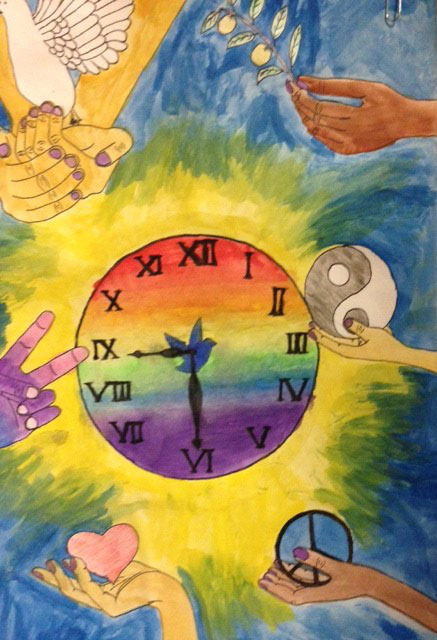 He spoke about the differences between the two and had a self-assessment for everyone to take. 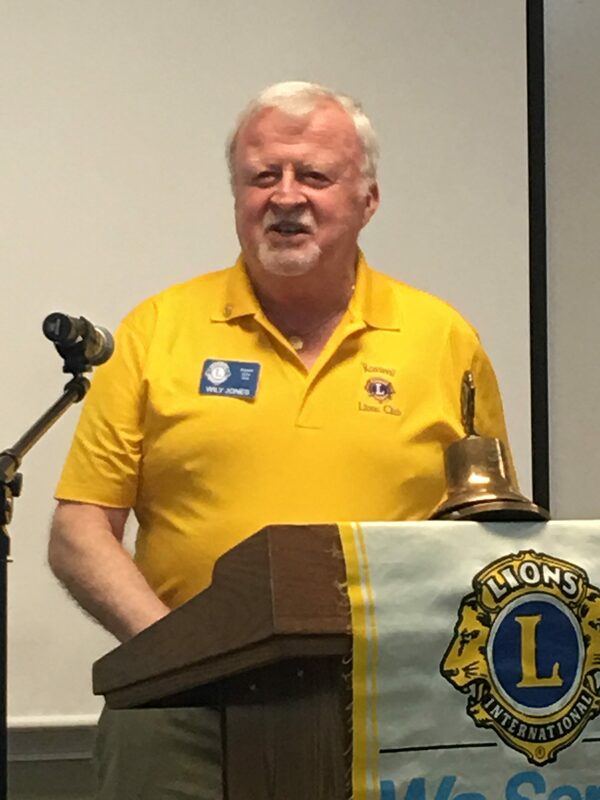 Roswell Lions Wily Jones speaking to members about Diabetes. 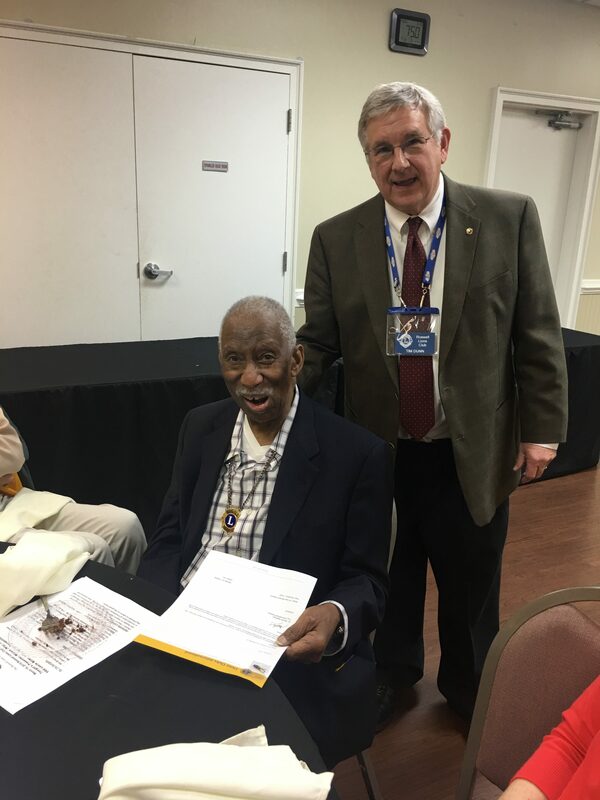 Lion Virgil Ladson is recognized for 35 years of service to Lionism. 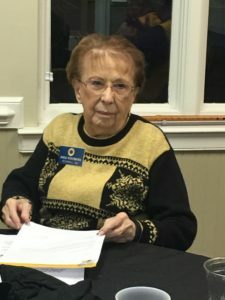 Lion Doris Westbrook is recognized for her 30 years of service to Lionism. Lion Robby Robinson was recognized for his induction in the Lions District 18L Hall of Fame. 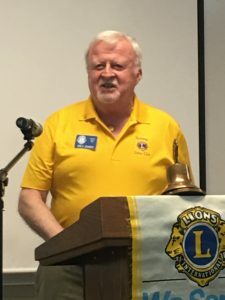 For more than 25 years Lion Robby has been a dedicated Lion and has been a major contributor to the club and the community. 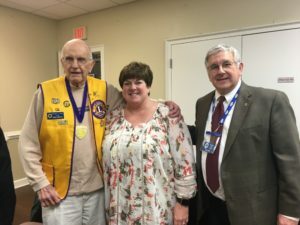 PDG Leslie Miller – Jasper and President Tim Dunn present the medal, certificate and pin to Robby. 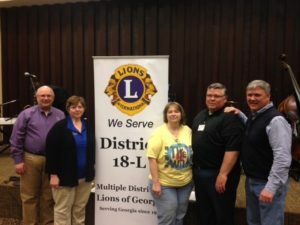 Congrats to our own Roswell Lion Jonathan Crooks being elected as Second Vice District Governor Elect. Jonathan has committed to serve our District for 4 years as he moves thru Second Vice District Governor, First Vice District Governor, District Governor and then Past District Governor. Please keep the following Lions in your thoughts and prayers: former Roswell Lion/Alpharetta Lion Bill Staley, Milt Brand and Ross Thomas. 366 pairs of eyeglasses collected and then sorted at the District 18L Retreat. 3 vision assistance referrals since our February meeting through North Fulton Community Charities. Every Thursday, 10:00 – 11:00 a.m., Bingo at Roswell Rehab and Nursing Home. Wednesday, March 28, 2018, 9:30 a.m. to 1:30 p.m., Senior Health and Wellness Expo – Vision Screening, Adult Recreation Center, 830 Grimes Bridge Road, Roswell. Tuesday, April 10, 2018, 7:30 pm Dress Rehearsal at Georgia ensemble Theatre, The Buddy Holly Story. Saturday, April 14, 2018, 12:00 noon to 4:00 p.m., Hope Roswell – Vision Screening, Mimosa Elementary School. Saturday, April 28, 2018, 6:00 p.m. to 9:00 p.m., Reverse Raffle, Silent Auction and Dinner, Adult Recreation Center, 830 Grimes Bridge Road, Roswell. Next Board Meeting, Monday, April 9, 2018, 6:30 pm, Provinos – all members are welcome. Next Club Meeting, Monday, April 16, 2018, 7:00 pm – Adult Recreation Center, 830 Grimes Bridge Road – Our speaker – Lion Donna Calhoun. This entry was posted in Newsletter and tagged 2VDG Elect Jonathan Crooks, District 18L Hall of Fame, Doris Westbrook, Newsletter, Robby Robinson, Roswell Roar, Service Awards, Virgil Ladson. Bookmark the permalink.